SAS 360 Discover collects digital data and helps highlight opportunities for offer and content performance across web and mobile channels. Using that data, teams in marketing, sales, service and support can engage customers at relevant times along their journey. SAS 360 Engage uses this data to enable teams to display and send offers based on audience segments, behavior data and visitor attributes. SAS 360 Plan combines these insights, so teams can understand how each campaign and activity fits together and the impact of each task in the activity. It provides a marketing team all the tools to be customer focused ‒ data collection and reporting, offer planning and optimization and business impact. To get a handle on how journeys can be contextualized using SAS 360 Engage, below is an example of my first project using SAS 360 Engage. In my targeting test I wanted to see if we could move the needle on trial registrations. I chose one of our top visualization products, SAS Visual Analytics, which also offers a trial. After reviewing user engagement with the sas.com product page, I noticed users don't always make it down to the banner towards the bottom of the page promoting the trial. I wondered if we could remind them of the trial opportunity during the product evaluation process, to encourage them to try the product. Before you jump in, think about your targeting criteria. Who should be eligible to see this content? What action(s) have they taken? Answering those questions helped me create the spot, task and event. Creatives are the assets, text and links displayed to the user. Spots are where you deliver offers on the page, and tasks are channel-specific info to deliver content to an audience. Events control what is displayed based on the visitor behavior. Once you have your targeting criteria in mind, these are easy to set up. 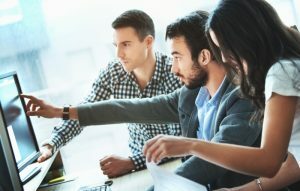 The resources below helped me and have a mix of videos and step-by-step examples to appeal to anyone learning SAS Customer Intelligence 360. A user visits the SAS Visual Analytics page. But did not complete the free trial form. 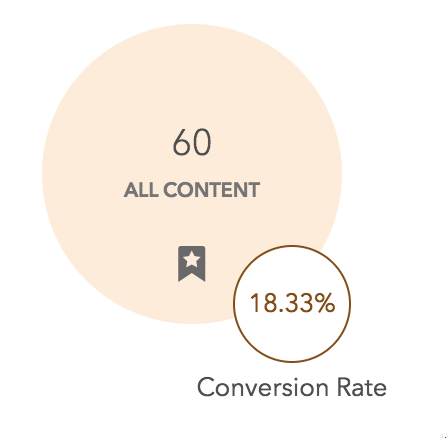 The current conversion rate is 18 percent! As with any optimization, we're monitoring this to determine impact on the business and where it can be replicated. But this was a quick and easy targeting scenario to set up. Share in the comments if you find these resources or any others helpful! 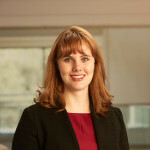 Alanna Howard is a Digital Product Manager for Web Acquisition at SAS Institute. When she's not building web experiences or optimizing user journeys she's driving testing and targeting efforts to have maximum impact on the business.